Emre transforms technology and emerging concepts into business and management strategies while connecting marketing professionals in San Francisco and Asia at Sector Five. He specializes in creating blue ocean strategies for accelerated growth and implements those strategies. Sector Five’s unique innovative approach to executive search energizes Emre’s passion to explore uncharted horizons and create a new business model that has a global impact. He currently focuses on infusing game mechanics and social media dynamics into talent management and executive search at Sector Five. Emre is a firm believer in business intelligence and continuous analytics that support decision-making process. His first business experience was a technology start-up for which he left computer engineering school in his junior year. 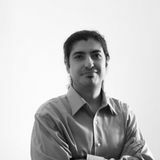 Emre pursued his ideals and worked for local and international companies in Turkey until he started working as a data management consultant at the age of 26. His diverse work experience includes fleet management, sales force optimization, custom CRM systems, predictive analytics, dashboards and data visualization. He has an IT background, bachelor’s of art degree in Business Administration, and an MBA degree from Hawaii Pacific University, where he still assists graduate level marketing and consulting courses. Emre’s motto is that perfection is achieved by simplicity.